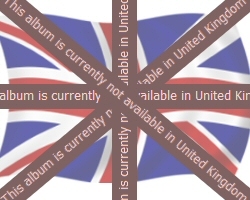 Most regular Spotify users will have seen a message like this before: “This Album Is Currently Not Available in United Kingdom” (or whichever country you live in). It’s an annoying by-product of the music industry’s licensing practices and the source of constant joy/disappointment for those that follow the “what’s new on Spotify” announcements and services. But now users can see what’s going on: a feature of Spotify’s new metadata API is that it lets you see these territorial restrictions for each album. This shows where you have to live to listen to an album. But it also reveals that some albums are only available in countries where Spotify itself isn’t available: in other words, there seems to be a growing archive of unplayable music in Spotify! Spotify is currently available in the UK, Sweden, Norway, Finland, France and Spain (or more specifically, only available from IP addresses assigned to providers from those countries). Artists are often represented by different labels in different countries: for example, synth band Mesh are with German label Dependent for the European market but with American label Metropolis Records for the US. To support this model, Spotify say that “albums and tracks in Spotify are subject to territorial restrictions.” So whenever a label or distributor adds new music to Spotify, they must specify which countries the music is licensed to be played in. Spotify’s metadata API shows which country each album and track on Spotify can be played in. It uses ISO 3166-1 alpha-2 country codes (for example: GB, SE, or FR) specified in a territories tag. Let’s look at some examples. As you can see, it’s licensed to be played pretty much anywhere: 242 countries, including all six countries that have Spotify. So for this album, no-one is going to see the dreaded “This Album Is Currently Not Available” message. This is licensed for 38 countries, but unfortunately for me the UK isn’t one of them. In fact, this version of the album isn’t playable in any of the 6 Spotify countries. What’s going on? However this is available in only one territory: the US. And because Spotify isn’t available in America yet, this album cannot be listened to by anyone. The band cannot receive any revenue from this, and neither can their US publishers The Hit Label Ltd.
It’s licensed for Austria, Switzerland, and Germany only. So this is another unplayable album since Spotify is not available in any of those countries. I asked Spotify who exactly could listen to this album: the reply was “No one really.” It seems then that there are Spotify Exclusives that are so exclusive nobody on the planet can listen to them! Of course these two examples highlight the US and Germany, the two major territories Spotify has confirmed they will be launching in soon. But this is just a coincidence: it seems that the record labels are blindly submitting content to Spotify without checking which (if any) users are able to listen. Surely they’re not really that dim – am I missing something? Are they pre-empting Spotify’s advance across the world, adding content that’s not playable today but might be playable tomorrow once the territory is added to Spotify’s list of supported countries? With a premium Spotify subscription you get unrestricted travel access. This means that you can listen to your music irrespective of where you are. Say I went to Japan for a holiday, I could continue to listen to music on Spotify even though Spotify is not available in Japan. But I could only listen to music that’s available in my home country i.e. the UK. One side-effect I expect (although haven’t tested yet) is this: say I went to visit my friends in Paris. I’d fire up Spotify and log in, and would be able to listen to music available in the UK. But if an album was only available in France, I wouldn’t be able to play it, even though I was in France at the time. I would need to log out and log back in again with a different, local free user account. Welcome to the wonderful world of territorial restrictions! There are a small number of albums where we get metadata from the label that sets an album as “download only” and can’t be streamed. We try and strip those out when we get them as it’s not a great user experience but we don’t catch them all – I’m fairly certain that is what is going on with this Rammstein album. So that explains it: labels sometimes submit albums to music streaming service Spotify then require that they’re download only. Go figure….